The Dhammapada is one of the most popular and accessible books in all of Buddhist literature. In it are the words of the Buddha, teaching that all suffering stems from desire and that the way to attain freedom is to purify the heart and follow the way of truth. 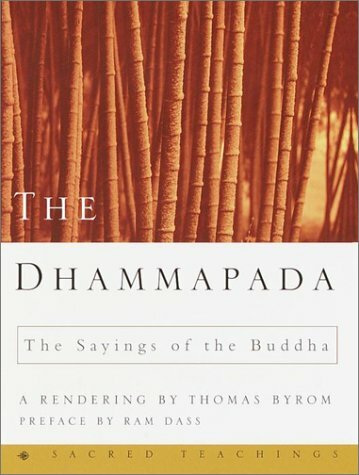 Thomas Byrom's verse rendering of the Dhammapada uniquely captures the Buddha's original teachings with simplicity and lyricism. The Dhammapada is one of the most popular and accessible books of Buddhist scripture. Undoubtedly one of the greatest teachers in history, the Buddha has had an immeasurable influence on the human race. He taught that our suffering stems from desire and that the only way to remove desire is to purify the heart. Dhamma means law, discipline, justice, virtue, truth -- that which holds things together. Pada means way, path, step, foot. So, The Dhammapada is the path of virtue, or the way of truth. 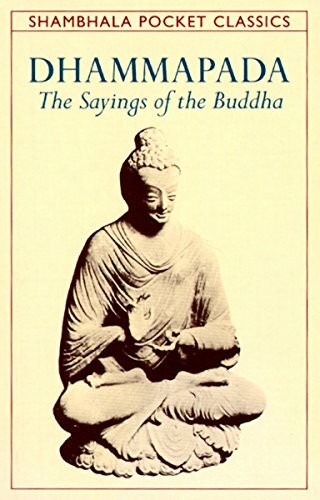 Thomas Byrom?s lyrical and aphoristic rendering of the Buddha?s teaching reveals its practical and timeless simplicity. the ages and put it into practice each day. Thomas Byrom, Ph.D., was educated at Oxford and Harvard universities and taught literature at St. Catherine's College and Exeter College.